October 9,2012 the day my life changed. I met a young man who had just been released from prison. I should have seen that as a warning, that this guy was no good. I had been high for a week at the time so my mind was fogy. We spend a few days together making money and gettin high. We were trying to work our way south to california for the winter. My “buddy” decided he wanted to steal some liqour. He got it but in the process he hit the clerk with a bottle. We were living on the streets so we slept under a bridge. That night it rained and someone came by and asked to stay. We said yea but he had to be gone by moring. We woke up and he was still there so we gave him food and said he could stay. We left and told him to be gone by noon. When we got back, he was gone but our stuff was messed with. My buddy got mad and decided he wanted to fight. I told him i wanted no part in it. He broke a bottle over the guys head and the guy tried to come at me. Dude had the neck of the bottle in his hand so i drew my knife. I told him to leave and he did. My “buddy” took my knife and followed him to make sure he left. I followed and saw him stab the guy in the upper chest. I thought the guy was just hurt. We were arrested later, thats when we learned he died. 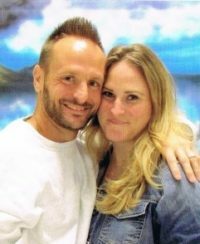 It has been over two,years since i have been convicted. To the family of the man who died IM SORRY. I pray that one day i can appologize to you for what happened. I pray they will forgive me one day for simply letting it happen. If you have any questions…please feel free to get at me. Thanks for sharing this. God bless!